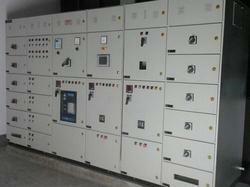 - Complete automated power plants. 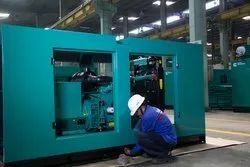 (No operator is required) right from Auto starting Auto changeover auto synchronising Auto load sharing Auto load monitoring Auto Desynchronising Auto stopping system load management systems. - PLC based operation to monitor the D.G.set through a computer. - BMS And SCADA Systems. - Grid synchronising system with import and exports. STAMBH AMF has all the basic features for the automation of D.G sets as well as for the application in Telecommunication site. The AMF have the two way communication facility for the data transfer and operation and for Knock operations. We are a trusted name in the industry for offering DG Automation to a wide clientele based across the country.